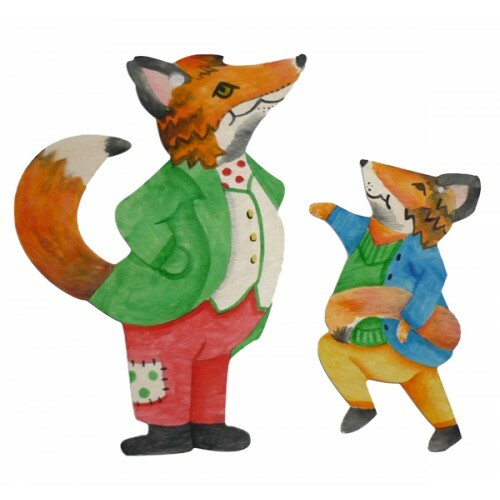 These two foxy fellows will give any child hours of fun. The design is traced onto both sides of the pieces - giving you four sides to paint! 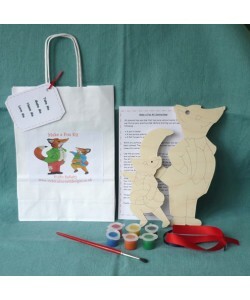 Children can follow the design on the front or mix their own colours, and don’t forget one side can be used to practice on. 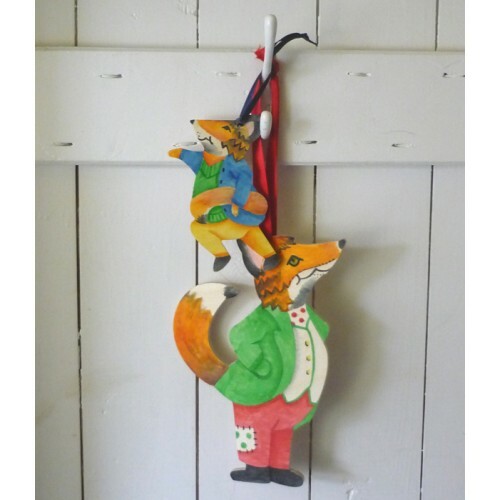 Hung by their colourful ribbons at the end of a bed or from a door handle, they will make a proud addition to any bedroom. 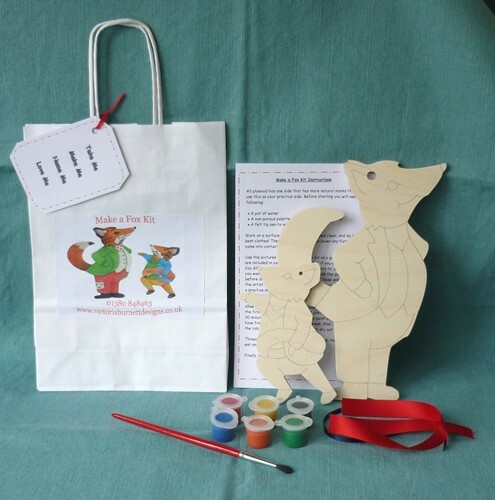 This kits comes complete with everything you need: 1 x wooden large fox (size 22 x 13.5cm), 1 x wooden small fox (size 14 x 8cm), 1 x paint brush, 1 x set of acrylic paints, 2 x ribbon, instructions.